The sturdy Ikea Markus remains our favorite basic office chair, while the Steelcase Leap is the most universally comfortable high-end ergonomic office chair. For under $100, we found a faux-leather option from AmazonBasics – and for about $50, a Boss fabric office chair. For a comfortable, durable chair at a very reasonable price, look no further than the Ikea Markus, reviewers say. 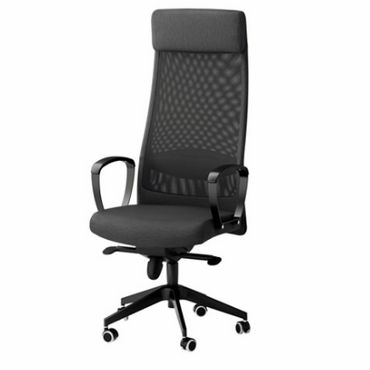 A tall mesh back with an integrated headrest and lumbar support helps keep owners comfortable. Seat height and tilt are adjustable and armrests, an upgrade for many chairs, are included. Users are most impressed with durability, saying the seat's parts are well made despite the low price. Ikea's 10-year warranty is also better than what's offered on most other budget office chairs. Whether you have a cramped office space or simply need an office chair for occasional light use, the Boss Fabric Deluxe Posture Chair can fit the bill -- and anyone's budget. Reviewers say the chair has comfortable padding, and they like having adjustable seat height and depth. There is also built-in lumbar support, and armrests are available for just a bit more. Other pros include several color choices and a relatively generous 250-pound weight capacity. The Steelcase Leap is the most universally beloved ergonomic office chair. Comfortably padded and incredibly adjustable, it flexes with the user's spine – so leaning back feels just as comfortable as sitting up. It comes in hundreds of colors and multiple types of fabric and leather, in versions that can accommodate users up to 500 pounds. A headrest and fully adjustable armrests are available, but cost extra. Experts find it very solid and durable, and it carries a limited lifetime warranty. 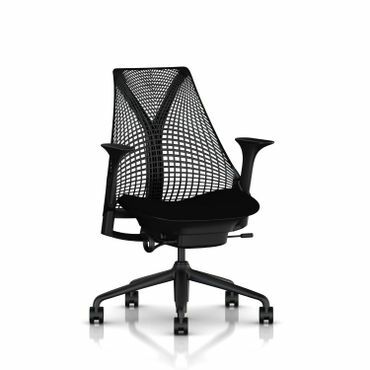 If you want a quality chair without quite as premium a price, you'll want to take a look at the Herman Miller Sayl. Reviewers say the Sayl is one of the most stylish options on the market with its webbed back, color choices and unique shape. It lacks the full range of adjustments that are standard on pricier chairs, but most say that it's comfortable just the same. A 350-pound capacity means the Sayl can accommodate larger people. It's covered by a 12-year warranty. While you can spend up to $1,000 or more on a top office chair, you don't have to. We found chairs around $200 and under that will offer enough adjustments to suit most people, including seat height and tilt control -- some even have lumbar support and adjustable arms. These basic chairs are especially appropriate for occasional use in home offices or if you also have the opportunity to take breaks to stand or walk. The more adjustable the chair, the bigger the price tag: Ergonomic chairs with the most features can seem extremely expensive for what is, after all, just a chair. However, if you sit all day you'll appreciate the extreme adjustability. These high-end office chairs are also made with higher quality materials, including more breathable, durable fabric and denser padding. They're built to stand the test of time and have the long warranties to match. Whatever office chair you choose, experts agree that sitting too much can be bad for your health. If you want to make your day more active, check out our report on standing desks for some great choices to pair up with your new office chair for the ultimate in ergonomic and healthy working. "The 13 Best Office Chairs"
"The Best Office Chair "
There are few detailed expert tests of office chairs, likely because the expense and time required to test them can be prohibitive. Wirecutter conducts the most in-depth testing; PC Gamer and Wired also perform real-world tests. In the Chicago Tribune, the director of Cornell University's ergonomics lab lists his favorite office chairs. At the blog Hope This Helps, a layman's office-chair research and recommendations prove surprisingly thorough and helpful. Sites such as Digital Trends and Gadget Review include helpful roundups. Owner reviews at retail websites (including Smart Furniture, Amazon, Staples, Walmart and Ikea) are the best way to find out how office chairs stand up to daily use and abuse -- especially for cheaper chairs that expert tests and roundups often ignore. To pick the best office chairs, we evaluated all of these reviews by focusing on the two most important considerations: comfort and durability. The Ikea Markus (Est. 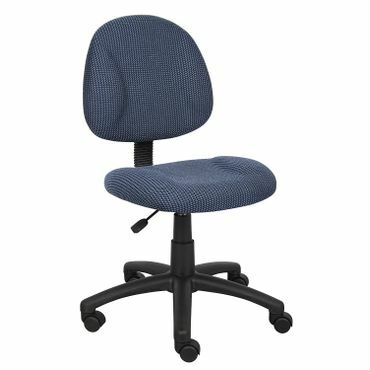 $180 and up) is a reasonably priced chair that earns solid reviews for breathability, support and durability. 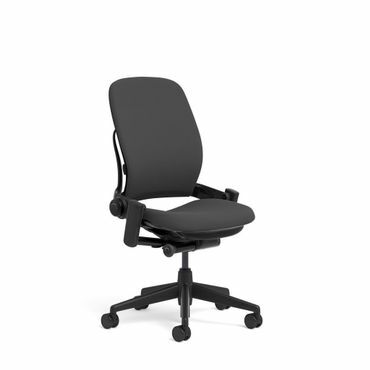 Tall and relatively sleek, the Markus has a mesh seat back and fabric seat cushion (except the black version, which has a real leather cushion and costs $20 more). The fabric Markus is available in beige, dark gray and light gray. The black Markus comes with a silver frame, while the other colors come with a black frame (both are made of steel and aluminum). Featuring a high seatback with an integrated headrest, reviewers say the Ikea Markus keeps them cool during long hours at their desk. The seat padding, however, was "the least forgiving among the chairs we tested," note Wirecutter's Kyle VanHemert and Michael Zhao. And, while seat height and tilt are adjustable, that's about it -- there is no way to adjust the armrests, seat depth, or lumbar support. Though most reviewers say the Markus is comfortable despite these limitations, testers warn that the chair isn't deep enough for anyone who wants to sprawl out or slouch, and is probably not the best pick for anyone over 6 feet tall. Weight capacity is 242 pounds. Durability, especially for the price, is where the Markus shines. VanHemert and Zhao say the parts have a "reassuring heft" that give them a much higher-quality feel than other chairs around this price point. Ikea's 10-year warranty is much more generous than competitors', but it doesn't cover normal wear and tear -- that's something you'll see only with much more expensive chairs. Budget buyers who would prefer the feel of (faux) leather to mesh or fabric may want to check out the AmazonBasics High-Back Executive Chair (Est. $90). 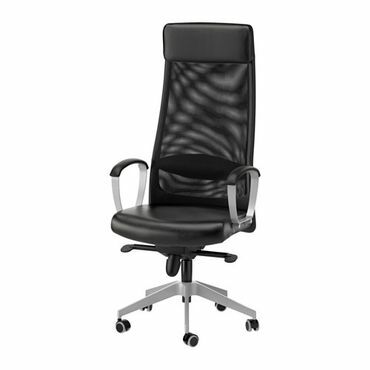 Available in either black or brown upholstery with a silver frame, the chair gets relatively high marks for comfort from users who appreciate a more traditional office option. Reviewers are divided on whether the AmazonBasics chair provides enough cushioning: Some find it very comfortable, while others find the seat overly firm. They do appreciate having cushioned arm rests – not a given at this price point. The seat has adjustable height, tilt and tilt tension, but no adjustable seat depth or lumbar support. As its name suggests, it has a high back, but it may not be high enough for many: Several reviewers note that taller users may not be able to rest their head comfortably and might be better off with a chair that has an adjustable head rest. Weight capacity is 250 pounds. As is the case with most inexpensive office chairs, durability is an open question with this AmazonBasics model. For every review that highlights problem-free long-term use, there seems to be another reporting the opposite. Common issues include cracked and peeling upholstery, an easily scratched frame and snapped armrests. On the bright side, reviewers say assembly is easy. Amazon backs the chair with a one-year warranty. If you simply need a chair for very occasional use at a very budget-friendly price, the Boss Fabric Deluxe Posture Chair (Est. $55 and up) is a good pick, owners say. While its low price means you won't get a lot of frills, you will be able to choose from four colors: black, blue, red and gray. The chair's basic look won't win any design contests, but its small footprint is ideal for smaller spaces. Most reviewers say the contoured padding in the Boss chair is comfortable, though several wish for higher-quality fabric, saying the seat attracts lint and pet hair. The chair has built-in lumbar support, adjustable seat height and adjustable seat depth, but you won't find more advanced features such as tilt control and tension. Armrests are available for about $20 more. For the price, owners say they're satisfied with comfort, and its compact size earns praise from those with small office spaces who just need a task chair for occasional use; plenty of users point out that this chair is not built for all-day sitting. Weight capacity is 250 pounds. Durability reviews are mixed: Many reviewers (particularly those who use the chair only sporadically) say it has held up well, but some complain that the height adjustment mechanism is prone to failure and requires constant fussing. Others say the padding wears down too soon. The seat has a six-year warranty on component parts and a two-year warranty on fabric and foam for any use up to 40 hours a week and 250 pounds. Appropriate weight capacity and seat size.